Colorado Springs is known for many attractions that make it a tourist destination in Colorado: the Air Force Academy, the US Olympic Training Center, the Pro Rodeo Hall of Fame, the Broadmoor Hotel, Old Colorado City, Manitou Springs, Pikes Peak, Glen Eyrie, even the headquarters of Focus on the Family. 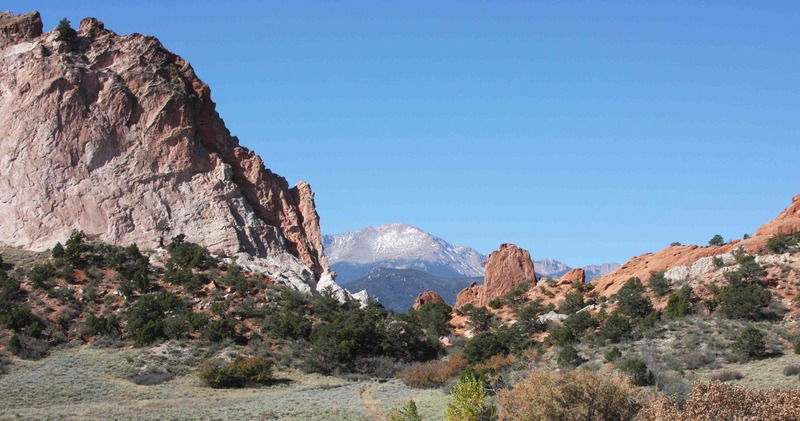 However, among the top three attractions is always the Garden of the Gods Park. This week the city celebrated the 100-year re-dedication of the park. Of course, the land use goes back much further in time than 100 years but on Christmas Day of 1909 the 480 acre property was dedicated to the city by the children of Charles Elliott Perkins, a railroad magnate who asked that it be deeded it to the city upon his death on the condition that it remain forever free to the public. For hundreds of years previous, this area had been considered sacred grounds by the local native American peoples, primarily the Ute Tribe, but other tribes as well, who would congregate here in the Fall and hunt. Pikes Peak was the center of their world. The eastern most of the 54 mountain peaks of Colorado’s 14,000 footers, it towers in view from the plains to the east and on a clear day is visible from Denver and Kansas. 1776: Spanish soldiers chasing Comanche came upon this area. 1858: With the discovery of gold in the summer, great interest in the area developed, which would drive many prospectors to Cripple Creek in the Gold Rush of 1859. The city founder, General William Jackson Palmer had created many city parks, and Colorado Springs was considered a “Little London.” The addition of the Garden of the Gods Park augmented the tourist appeal of the city. Some of the “hogback” sandstone spines of red rock create 300-foot cliffs. Indeed, some say that the name Colorado comes from the color of the sandstone. The name “Garden of the Gods” is, of course, not of Indian origin but goes back to 1858 when two local surveyors were participating in the setting up of the nearby Colorado City. M.S. Beach suggested that it would be a “capital place for a beer garden.” But his partner Rufus Cable was more strongly taken by the grandeur of the locale, and replied, “Beer garden indeed; this is a place fit for the gods to assemble. We will call it the Garden of the Gods” and so it remains.